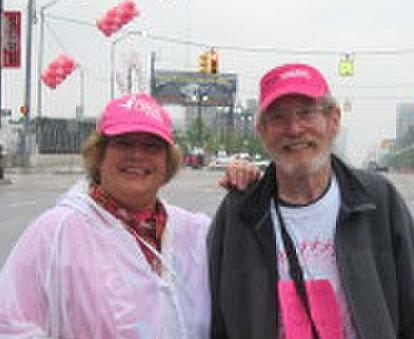 Sue and Terry at a Susan G. Komen fundraiser. When both parents get cancer, a teenager steps up to help out, pulling the whole family closer. Sue Ahrenhold says her 17 year-old daughter Krista was officially at the point where nothing Sue said was right.”If I said ‘How about we go to the mall and go shopping? '” recalls Sue, “I’d pick the wrong mall and the wrong restaurant and the wrong store.” It was typical mother-teen daughter stuff, and Sue was tired of it. And then she got cancer. Soon, everything changed. Three days later, a biopsy confirmed Sue’s fears: her doctor diagnosed her with grade 1, stage 1 ER (endocrine receptor) positive breast cancer. She’d have a lumpectomy and radiation, but first, she had to tell Krista. But she already sensed something was up. “Yeah, you and Dad are talking about stuff,” Krista said. Sue said she let Krista guide the conversation, answering her daughter’s questions. “I felt she was old enough that it was important I let her decide how she would handle it,” says Sue. She and her husband Terry gave Krista the option to go to school or join them at the hospital for the surgery. For Krista, the decision was easy. Though Sue’s odds were good and the treatments relatively brief — a lumpectomy followed by 10 rounds of radiation — she wound up with four infections over the next six months. “It was not life threatening, but it was unpleasant,” Sue says of the infections, including a “huge abscess.” But, Sue says, “it was brutally hard” on her only child. Despite all that, Krista continued to do well in her senior year in high school. She was part of the Best and Brightest program of school valedictorians, sponsored by a Michigan TV station. She graduated and started college. 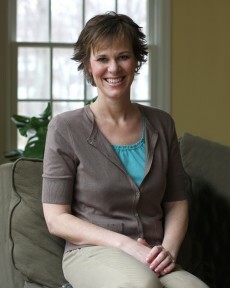 Then, just when they thought cancer was behind them, Terry was diagnosed with Stage II esophageal cancer with three lymph nodes effected, just 18 months after Sue’s diagnosis. Krista was attending a nearby community college and living at home when her family’s lives were turned upside-down once again. Krista had taken her dad in for the initial endoscopy, thinking everything would be fine. But it was not fine, and Krista wound up getting the news from the doctor. “I have no idea what the doctor said,” Sue says Krista reported. It was all too much to take in. That week, Krista would drive into the back of a postal truck, totaling the car, while Terry would start the “long, ugly days” radiation and chemotherapy. Yet once again, Krista stepped up to help her parents. “What happened was that cancer made our little girl grow up,” says Sue, who is now three years in remission. Terry just reached two years clear. “I would have preferred something a little easier,” she admits. Now 21, Krista, is a college graduate looking for work and a place to live. “It wasn’t ‘I have cancer. We expect you to be the kid,'” says Sue. “We said, ‘What can we offer you? '” Letting her daughter decide how she’d handle her parents’ cancer helped them all get through it together. Next Entry: Happy Cancerversary! Today, I am 5.